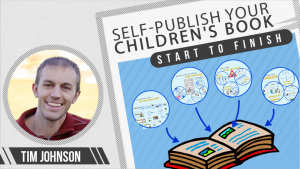 Are you dreaming of self-publishing your own children’s book? 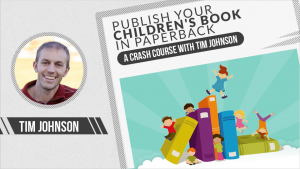 This is a COMPLETE, START-TO-FINISH video course that will give you all the information and resources you need to not only publish your first children’s book, but do it SUCCESSFULLY! Start publishing your book today! Whether you have a character concept, a complete manuscript, simply a lesson to teach, or nothing at all, this course will bring you through the children’s self-publishing process step-by-step and leave NO excuses for a book gone unpublished! This could be the best time in history to be a children’s author. The barriers to entry are dropping rapidly, and the market is far from saturated. I’ll show you how to define your book’s value, create your own market gap, identify with your readers (and buyers) and create a product that is delivers huge value and enjoyment to readers. I’ve also included a myriad of reference books with this course to help give you even more insight. If you’ve always dreamed of publishing a children’s book, or if you’ve published one that wasn’t a success, you’re in the right place! I’ll teach you not only how to become a children’s author, but how to become an entrepreneur and successfully sell your product to bring smiles to thousands of tiny faces! Everything you need to know to create, proof, publish and list your children’s book in print on Amazon for free. 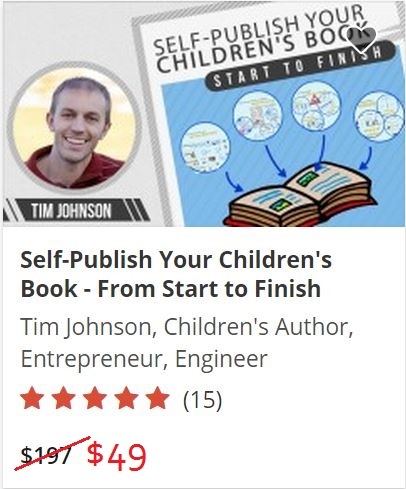 In the next 60 minutes learn how to create, proof, publish and list your children’s picture book and sell paperback copies of your book on Amazon. Order your first book proof this afternoon! This course assumes that you are at the stage where you have a children’s book written or are in the process of writing and illustrating one and an unsure of what to do when you finish it. How do you get it in print? How do you sell it? This is a quick crash course on how to use a “Print-on-demand” service called Createspace which is completely free and is affiliated with Amazon.com. Print on demand (or “POD”) book publishing means that when someone purchases your book on Amazon, one book is printed and shipped out. The printing company makes their money every time a book is sold which means there is no upfront cost to you to print 100 or 1000 books. POD is a no-risk way to self publish your books. I am not personally affiliated with Createspace whatsoever, but have been using the service for years and would not choose anything else. I enjoy self-publishing and being in control of my books and would recommend it for any author who is starting out and trying to avoid risks or being taken advantage of by a publisher. In order to get started, you should first create a free user account at www.Createspace.com and set up your royalty pay-out information. IE, link your account to your Paypal account or bank account so that you can get paid. You will need to set up this information prior to creating your book listing. A comprehensive beginner’s course to building your own author website with no experience and at VERY little cost. You can get a discount code to take this course 100% FREE here! Enjoy! New to self publishing and need an author website? This course will walk you step-by-step, through the details of creating a complete, professional, responsive website and it’s a LOT easier than you might think. You can create a really nice site with very little effort and even less money! 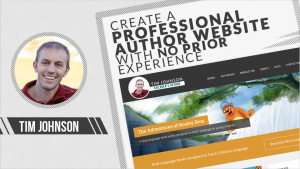 I have created dozens of websites on many platforms and have created this course to teach to independent authors, like myself, the most effective method of creating a great author website. In over ten years of web development I have found WordPress to be the most powerful and easy-to-use platform out there and it is continually getting better with each update. Whether you want a blog that you can post articles to directly from your iPhone or Android, or if you want just a static informational website, this course will cover it. We’ll discuss what kind of content you should provide, as an author and how best to provide it. I’ll give you a simple way to collect email addresses of your fans so that you can contact them with future news. I hope you enjoy the course – please contact me with any questions! P.S. – I’ve also included a great electronic text book to help you leverage your list of email subscribers most effectively.